The annual E3 gaming show is once again upon with it’s usual bombast, hype & leaks. I usually avoid most of the reporting around E3 related stuff because it tends to be your typical hype-train fuelled by pre-rendered cinematic trailers, short teasers & really really awkward presentations. Yet something happened with this year’s expo, where each company listened to the complaints of their consumers & gave live demonstrations of their games to much rapturous applause (for some demos at least). I tend not to care for most company’s announcement but I tend to like what Nintendo does. This year it appears that they broke all expectations when they showed this. The gameplay trailer for the long awaited Zelda Wii U game. This is a whole new direction for the long running franchise, that gives the player almost absolute freedom to explore -which includes being able to climb the landscape & monsters. It also introduces the ability to sneak up upon both prey & enemies. From the trailer & hands on from various gaming websites it appears that Link (for once actually coming pre-named) has to hunt & eat to regain health & get status boosts. The freedom to explore leads to being able to tackle which ever dungeon you want when you can access -which appears to be through a magical book. This new gimmick also extends to using the book to create blocks to climb upon so you can solve puzzles as well as create objects to drop on enemies to reduce their number before ambushing. Being a Wii U title, it comes with Amiibo connections, which goes back to the Wolf Link figure that was released with Twilight Princess. As seen in the video below. The game is still set to be released next year & supposedly will also be the launch title for Nintendo’s mystery new console, currently referred to as the NX. How this will impact the end product & it’s reception is al for speculation. In my very unhumble opinion Nintendo should release the game in time for Christmas & give the Wii U one last great hurrah. Regardless of which system it will be dominant on, the game remains utterly beautiful to look upon. It’s vast living landscapes & reactive AI might reinvigorate many Sandbox games but, again, it’s only speculation of a very, very invested fan. Nothing really more to say except that I wanted to show the trailer & make a quick post before the next article goes up. Don’t panic! Studio Ghibli remains open! Lots of Western geeks & otaku have been in a tither due to news that the animation temple of Japan, Studio Ghibli, confounded by the legendary Miyazaki Hayao, is either shutting its door or dropping film production in favour quicker, less expensive ventures such as television broadcast anime. 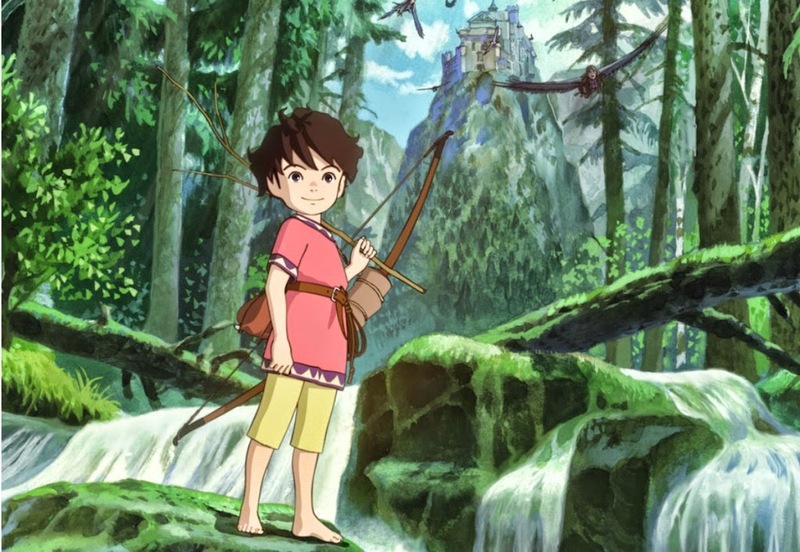 Studio Ghibli is remaining open for the foreseeable future & continuing with several productions – including a new anime series, Robin the Bandit, from Miyazaki Goro, Hayao’s son, to screen later this year. The rumour started based upon an overeager mistranslation of a television interview, where people interpreted the word “pause” for the term to cease or stop. Everything steamrolled from there, with geeks doing their typical thing if finding patterns & meaning where there is none by pouring over recent interviews with Miyazaki & other Ghibli staff combio with poor box office from recent Ghibli productions. So, dry your tears, geeks everywhere, you still have one of your anime institution as well as the promise if future films -including ones written by Miyazaki himself. 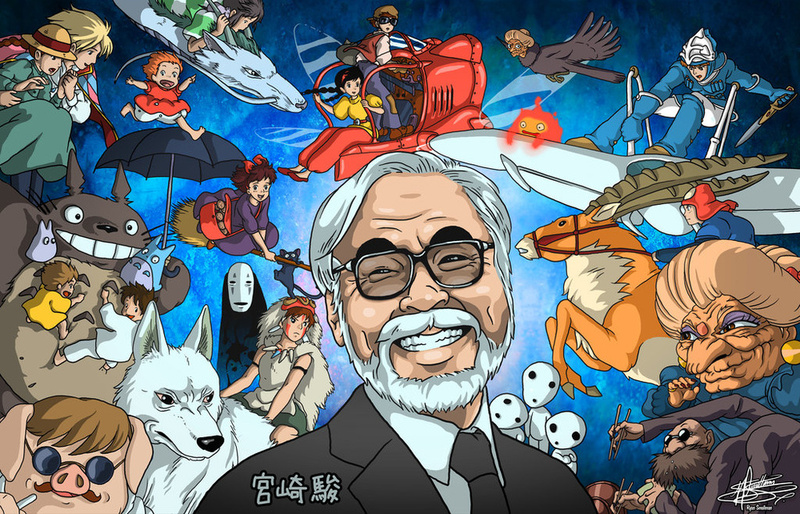 Here is the completed and [heavily] edited version of the article on Miyazaki that I co-authored. It’s not great but it’s a good first step on the road to more proper academic publication. Please give any feedback if you do read. The 11th & possibly final film directed by the legendary auteur Miyazaki Hayao, The Wind Rises comes with the weight of a lot of expectation. But does the film answer that expectation? 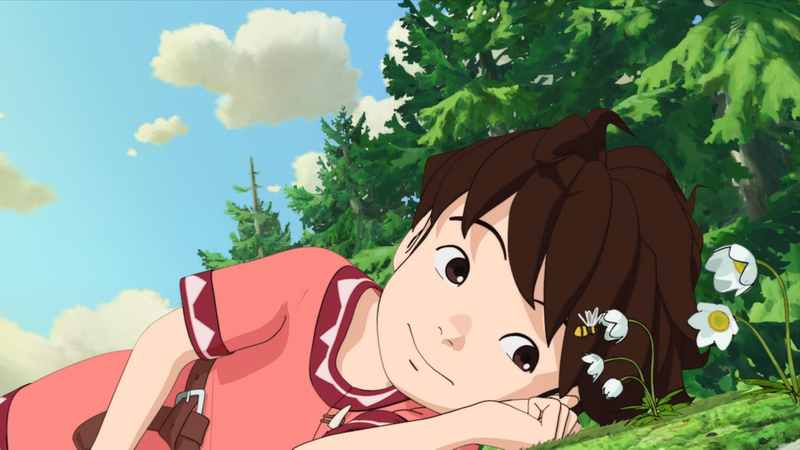 I personally feel that people approaching this film are expecting more of Miyazaki’s fantastic whimsical and magical stories, like My Neighbour Totoro or Spirited Away. 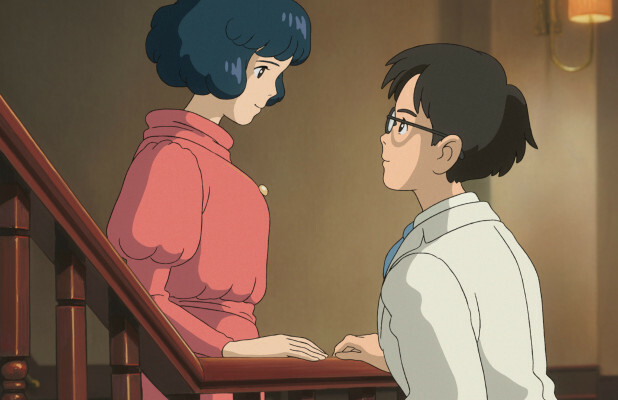 Whereas the Wind Rises is a biography lashed with romance and dreamscapes. Many fans have felt as though this is, at least, a departure &, at worst, a betrayal of their love of & expectations from him. But if they approach the film as a beautiful melodrama with touches of the phantasmal, then they should find it most acceptable. What the film is, is an indulgence. It is an unrepentant ode to Miyazaki’s love of airplanes, with so much time spent on the tiniest detail of the machines. Truly, if Miyazaki could have made a film just about planes, without humans involved, he would have. What he did produce is a story about what happens to a man who sells his soul, so to speak, in order to follow his dream -believing that if he gives his clients what they want, they’ll let him eventually made what he wants. This is the fate of the fictionalised version of Horikoshi Jiro, the eventually creator of the A6M Zero fighter plane as he works to becoming an aeronautical engineer. The film is also an ode to classic film making. From the opening moments it reminded greatly of my favourite Kurosawa Akira‘s film, Dreams (1990). That is because the narrative blends the real world with dreams without telling you at any point which is which. Both worlds blend seamless and even overlap with the realities of others. As the young Jiro meets the famed Italian airplane designer Count Caproni in a place that Caproni calls his own dream, even though Jiro believes that he is the one who is dreaming. This theme of the transcendental nature of, & trespassing into, dreams is a major part of the film. The rest of the film, unfortunately, has garnered an exceptional amount of criticism and fan debate -both in Japan & internationally. The plot being centred on the creator of a vicious war machine, the Zero fighter, has stirred up much resentment in China & Korea with the Japanese government’s refusal to acknowledge their past war atrocities. Yet at the same time, many people in Japan are attacking Miyazaki for having his characters say that it was a mistake to have sided with Germany & entered the war. Yet the film is not a true glorification or damnation of history, war and the darkest aspects of humanity. It is a dream & shows what can happen to a life when one follows their dream too ardently. Yet this film is entirely beautiful. Truly, it is the single best piece of film animation ever produced. This is where Miyazaki’s other indulgence, his love of cinema and animation, truly shines through. There is so much detail lavished within each frame and cells of this film. From the quivering of the glass as a train leaves the station to the shimmers on the water & the wavering of each individual blade of grass. Nothing is spared in order to bring out the details, the colours & the characters. The differences between dawn & dusk. Even the very flames of destruction. The scene depicting the Great Kanto Earthquake (an actually event in 1923, where thousands of people died & Tokyo was almost completely destroyed) is magical in its devastation. The sound of the movement, supposedly echoing the Great Catfish upon which the land of Japan lies as it trashed about to cause the quake, blends perfectly with the bubbling, rolling ground. The scene is brutal but not violent, tense but no sense of inherent danger. The fantastical way that Miyazaki and his animators show the Great Earthquake does not in any way strip away the devastation that it caused. It was from this earthquake that Japan’s drive to modernise, rushing it into modernity from a feudal society. Sparking much excitement & tension within the nation, especially as they attempted to compete technologically with the rest of the world. The same could be said for the flight scenes and dream sequences. 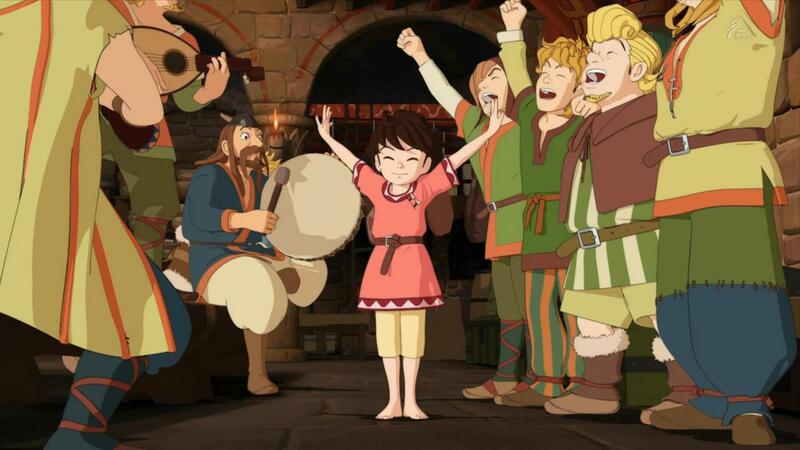 So full of life & energy as well as truly beautiful animation. Sadly, that does not mean that the film, at over 2 hours, flies by (chortle at pun). If you are expecting an adventure you will be disappointed. The film follows Jiro at vital points of his life, never indicating when time has skipped forward (similar to how it does with the dream sequences) but it often does not want to engender the narrative with action & drama for the sake of it. The late romantic angle, which is referring to many Japanese dramas about around the “love in the time of TB” cliché, does drag the film down in terms of pacing but not once did I think that the emotion between Jiro & Nahoko was disingenuine. In fact, despite the fanciful & rushed nature of their love, I honestly felt the romance & affection between them. 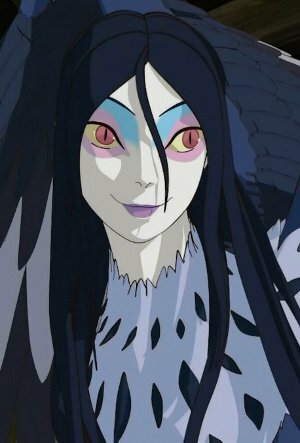 It is unfortunately that Nahoko is not a very strong female character, especially in regards to Miyazaki’s usual protagonists. This is partly because, after appearing in the Earthquake scene, she doesn’t appear until the final 3rd of the film. The reveal of her condition & confession to love also felt very clumsy -like an entire arc had been removed from the narrative. This can be said for other side characters. Especially Jiro’s younger sister, Maya, who appears early in the film & then doesn’t feature until the 3rd act, having achieved her personal dreams but still chastising her brother for his lack of consideration. This is done out of love but she is an anchor meant to keep him from being dragged away by his dreams but she doesn’t appear within the film enough to complete that function or even develop in any great way. Yet she & the other side characters are rendered well in a way. Both their physical depictions & the outline of their personalities. An example is the strange foreign man (revealed to be a former Germany engineer who had seen Jiro at the Junkers factor many years before), whom you don’t know if he only speaks to Jiro in dreams. He has a strange walleyed appearance & speaks in broken Japanese, as a genuine foreigner of the time would. The man, later identified in a letter as Mr Castorp, tells Jiro his personal dislike for Hitler & German’s war ambitions, saying if Japan follows, it too will burn like Germany will. He then disappears like he was merely Jiro dreaming that the hotel guest was speaking to him but he then appears in later scenes as he attempts to help Jiro understand his feelings for Nahoko. The action after that with the secret police is confusing & remained unsolved but it showed the human character of Jiro’s superiors at the aeroplane factory. They vow to protect him, as long as he can still provide them with what they need -a new fighter to win the navy contract. If this was an 80’s American screwballs comedy, the dwarvish supervisor Kurokawa would’ve become the bullying antagonist seeking to destroy out heroes dreams. Instead he acts like a genuine supervisor would, chastising when wrong is down but supporting at other times. In fact, his insistence that Nahoko & Jiro have a proper wedding, despite the lack of family nearby, is one of the most touching moments in the film. There are many touching moments within the film. The ending nearly had me in tears (I’ve only ever cried once in a film & that was when Optiums Prime died in the Transformers movie of 1986). There are some nice subtle references to some of Miyazaki’s previous films -such as Porco Rosso’s pilots’ heaven- but not as many as I would have liked. But, on balance, if it was a reference fest being a final film, I think that would’ve really annoyed me. 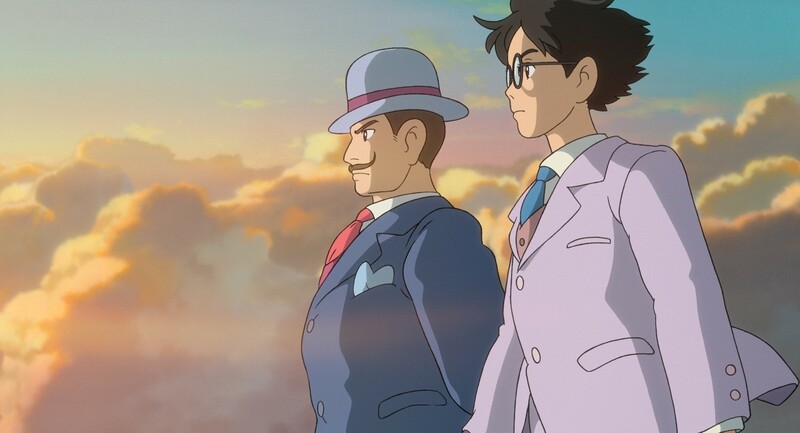 In the end, The Wind Rises is an exceptionally good film. 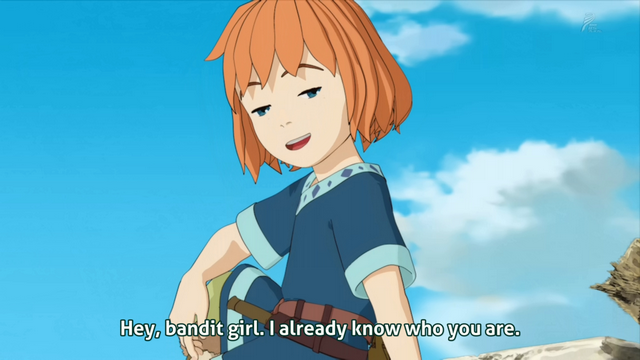 It just isn’t a good Miyazaki/Studio Ghibli film. It is overly long, exceptionally indulgent, confusing in terms of chronology, characters and location but, with all that being said, it still is an incredible film. As I said early in the review, if you look at it along the lines of a classic melodrama from the likes of Kurosawa, not expecting the usual Ghibli fantasy, then you can view it as a truly beautiful film. It is something that I will be returning for other works, both personal and academical, because it has exceptional merit for that. 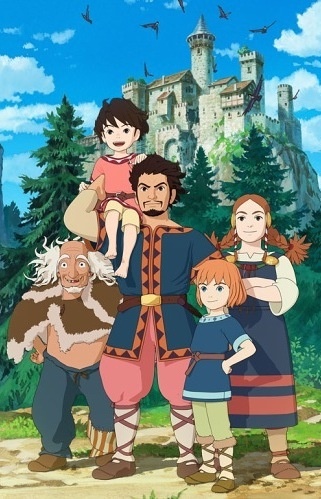 It is a good film for one to end a career with but probably not the film that Miyazaki should’ve ended his with. Supposedly he wanted to do a follow up to Ponyo but I do feel that going with another original idea was a better path to follow. Still I, like so many other Miyazaki fans, would still love to see a final final work from the great master. He may never direct again, but he is still working on manga & writing scripts. All that we can truly hope is that Studio Ghibli will carry on his fine legacy & continue producing top quality films with interesting, challenging themes & characters that we can instantly love.